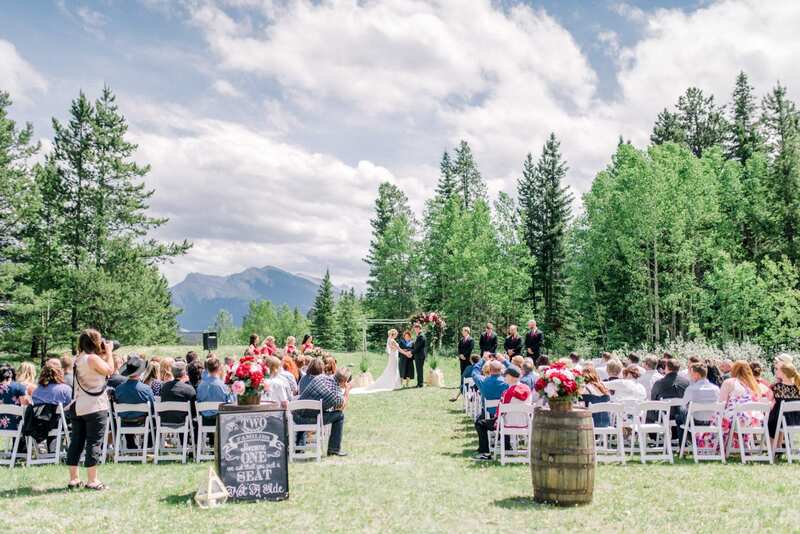 Please note that the Outdoor Ceremony Package price does not include the permit fee for Rundleview Parkette or the Canmore Ranch. Minister/Commissioner and Wedding Licence not included and are the responsibility of the wedding couple. *To activate the ‘Indoor Location Back Up Plan’, Cornerstone Theatre must be notified 24 hours prior to your wedding day. **available for 2020 weddings only. The Canmore Ranch is located just a 2 minute drive from the Theatre. This private ranch offers spectacular mountain views in a secluded tree lined setting. Full service bathroom facilities are available on site plus your choice of two ceremony archways. There is also ample parking for you and your guests. Things to Note: This is a private location that is not open to the general public. 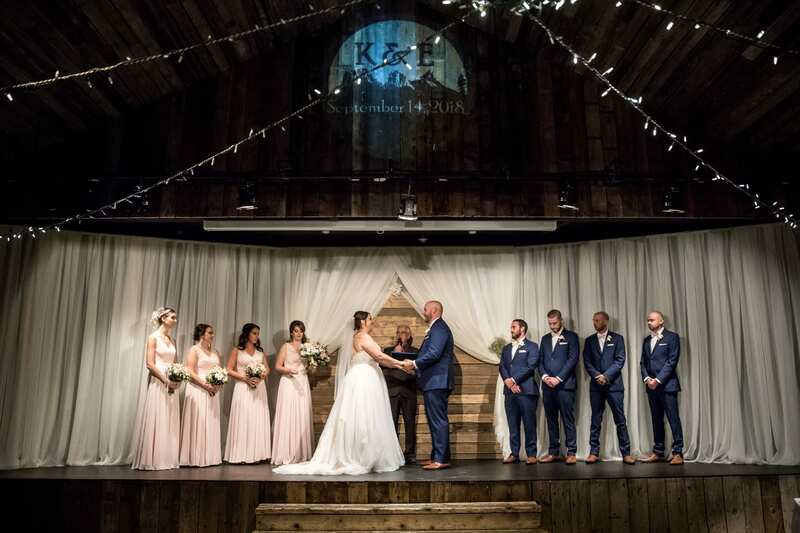 To book the Canmore Ranch for your ceremony, you must book our Outdoor Ceremony Package and host your reception at Cornerstone Theatre. Bookings can now be made for 2019. *You must contact Cornerstone Theatre to make your reservation. Please do not contact Canmore Ranch directly. The fee for booking this site is $500. Our couples favourite! This is a semi-private grassy spot with spectacular mountain views of Ha Ling and Mount Rundle. Trees along the sides of the location make it feel more intimate than the other locations and offer shade in the hot summer months. Closest washrooms are at Quarry Lake across the street. Parking is onsite and the location can host weddings up to 200 guests. Things to Note: Rundleview Parkette is open to the general public during your ceremony. The Town of Canmore will take bookings up to 2 years in advance. 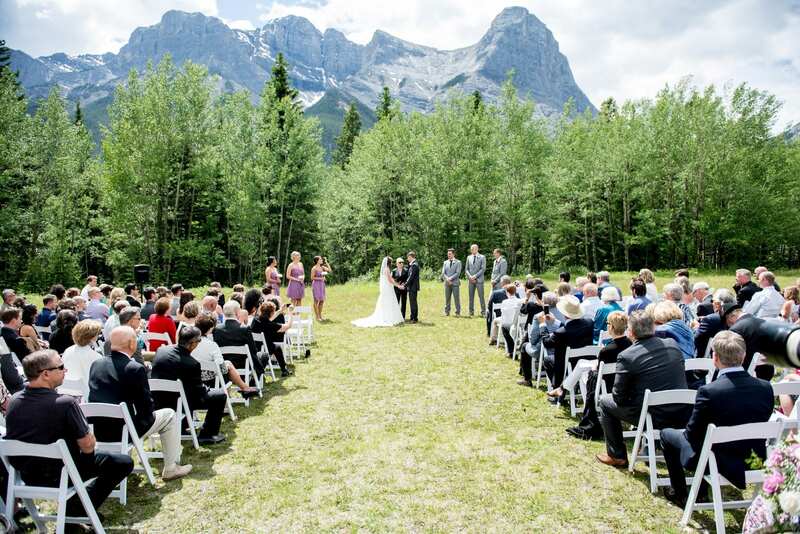 There is a high demand for this ceremony location and therefore the Town of Canmore insists you have a permit and pay a fee. This ensures that no other wedding or event is booked in these locations for the duration of your rental period (3 hours). Other weddings may occur on your day, but not at the same time. © Copyright 2018 Cornerstone Theatre. All rights reserved.